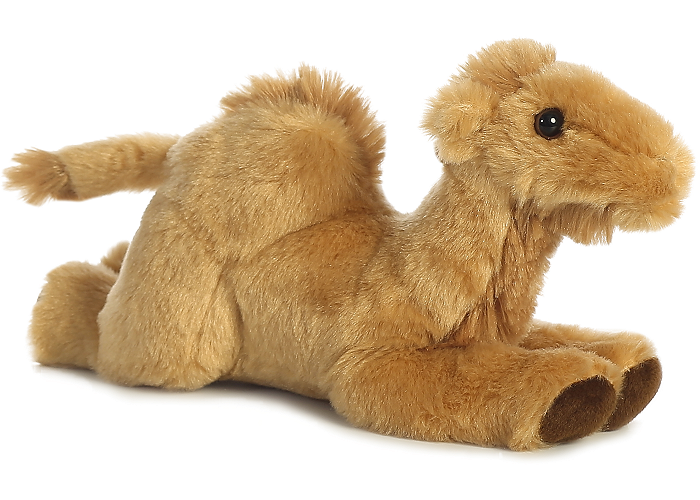 You'll love having a camel for a pet when it's this adorable little plush camel from the Aurora World Mini Flopsies collection. 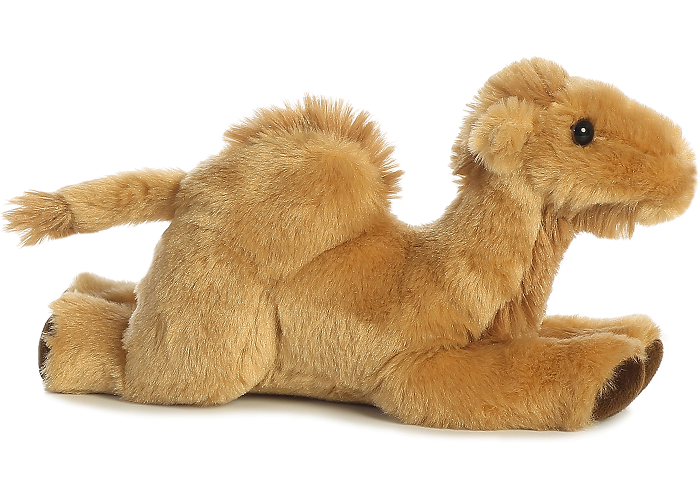 With a cuddly body with soft tan fur and brown feet bottoms, this sweet camel stuffed animal has fluffy accents and warm brown. 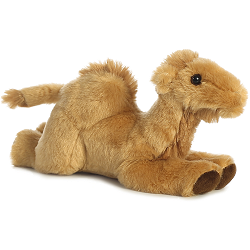 Ready for hours of imaginative fun, this plush camel is the perfect size for take along adventure. Fun Facts about Camels: Arabian camels - or dromedaries - were domesticated 3,500 years ago. Invaluable as pack animals in desert terrain, they can carry large loads over 25 miles (40 km) a day. In northern Africa and the Arabian Peninsula, all camels are domesticated. In 1840, they were introduced to Australia, which now has the world's largest feral camel population. Over 7 feet (2.1 m) tall at their humps, camels weigh up to 1,600 pounds (726 kg). Their humps store fat, which provides water and energy, giving camels their legendary ability to travel 100 miles (161 km) without drinking. When depleted, a thirsty camel can drink 30 gallons (135 liters) of water in 13 minutes.